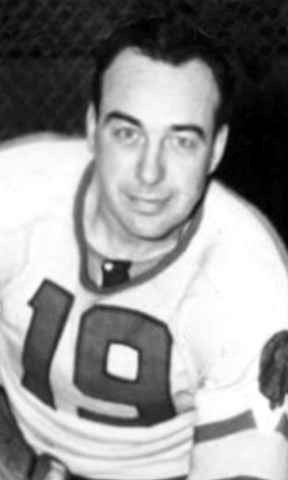 A 1966 NHL Hockey Hall of Fame inductee, Hector “Toe” Blake scored 12 goals and 23 points over 33 games in the one season he skated for the Providence Reds. In 14 NHL seasons, from 1934 to 1948, the steady and productive Blake accumulated 235 goals and 527 points. However, Blake will perhaps best be known for having won 11 Stanley Cups - three as a player and eight as a coach with Montreal. His impressive NHL coaching record as coach of the Canadiens from 1955 to 1968 was 500-255-159.